“The City of Newark faced a heat wave of temperatures greater than 90 degrees yesterday and today and the rest of the week will continue to be warm. The Health Department urges Newark residents to take precautions to prevent serious illness that can result from the heat, especially among vulnerable individuals such as seniors and those with chronic health problems or mental health conditions. Newark residents who are vulnerable should use air conditioning to stay cool, go to a place that has air conditioning if it is not available at home, drink water at regular intervals, and limit strenuous activity, especially during the hottest parts of the day. 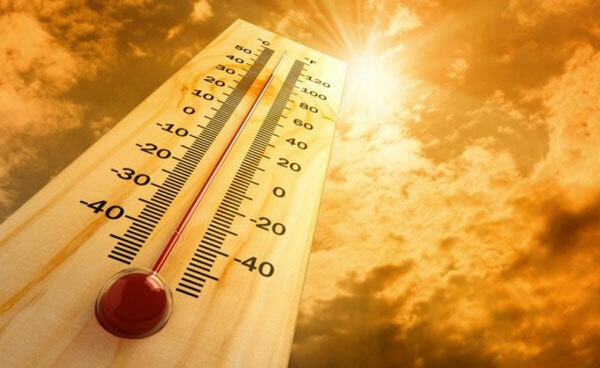 Residents are urged to check in on vulnerable friends, family members and neighbors to help them stay cool,” Mayor Baraka said. For additional information how to beat the heat, visit http://www.newarknj.gov or the Newark Department of Health and Community Wellness’ social media at http://www.facebook.com/NewarkDHCW and http://www.twitter.com/NewarkDHCW. A small but crucial gesture can help ensure that we all have a safe and healthy summer: Get to know your neighbors, and contact neighbors and relatives—in person or by phone—at least twice a day during heat waves. Pay special attention to the elderly, the very young, and anyone with a pre-existing medical condition. Citizens should also check in on neighbors who may be isolated from friends and family. Air conditioning is the best way to stay cool when it is hot outside, especially during a heat advisory. However, some people do not have an air conditioner or do not turn it on when they need it. Newark residents are encouraged to use air conditioning. If air conditioning is unavailable at a residence, please assist those affected to get to a place where it is available. Stay out of the sun. This is the quickest way to become overheated. Also, avoid extreme temperature changes. Wear lightweight, bright or light-colored clothing to reflect some of the sun’s energy. Drink fluids—water is best—even if you do not feel thirsty. Water is also the safest liquid to drink during heat emergencies. This will help your body to maintain a cooler temperature. If you are on a fluid-restricted diet or taking diuretics, please consult your physician first. Avoid beverages containing alcohol and/or caffeine. Avoid strenuous activity, especially during the sun’s peak hours, which are from 11 a.m. to 4 p.m. If you must perform any strenuous activity, it is advisable to do it during the coolest part of the day, which is in the morning between 4 a.m. and 7 a.m. Participate in activities that will keep you cool, such as going to the movies, book stores, shopping at a mall, or swimming at a pool or beach. Never leave children or pets in the car. The City of Newark may open cooling centers in the five wards when temperatures reach extremely high temperature and humidity levels. If cooling centers do open, you may find the nearest ones by calling: (973) 733-4311; go to http://www.ci.newark.nj.us/ or follow us on Facebook. During periods of intense electrical usage, such as on hot, humid days, it is important to conserve energy as much as possible to avoid brownouts and other electrical disruptions. While diminishing your power usage may seem like an inconvenience, your cooperation will help to ensure that utilities are able to continue to provide uninterrupted electrical service to you and your neighbors. Set air conditioners at 78 degrees Fahrenheit. (A 75F setting uses 18% more electricity and a 72F setting uses 39% more electricity.) This setting allows for sufficient cooling while still conserving electric power. Use an air conditioner only when home. If you want to cool your room before you arrive home, use a timer to have it turn on no more than one-half hour before you arrive. Know the warning signs of heat stress! If you (or someone you know) feels weak or faint, go to a cool place and drink water. If there is no improvement, call a doctor or 911. The summer months can be just as uncomfortable for pets as it is for humans. Pets are affected by humidity as much as the ambient hot temperatures. Follow these tips for keeping your four-legged family members comfortable during the heat advisory. Exercise early and late: When the temperature is very high, don’t let your dog linger on hot asphalt. Your pet’s body can heat up quickly, and sensitive paw pads can burn. Keep cats safe by installing screens in your windows. Unscreened windows pose a real danger to cats, who fall out of them often during summer months. “The City of Newark and The Department of Health and Community Wellness are always available to answer any questions that you may have during this heat advisory. We are working to make our City one that we can all be healthy in and believe in!” said Director Wade.